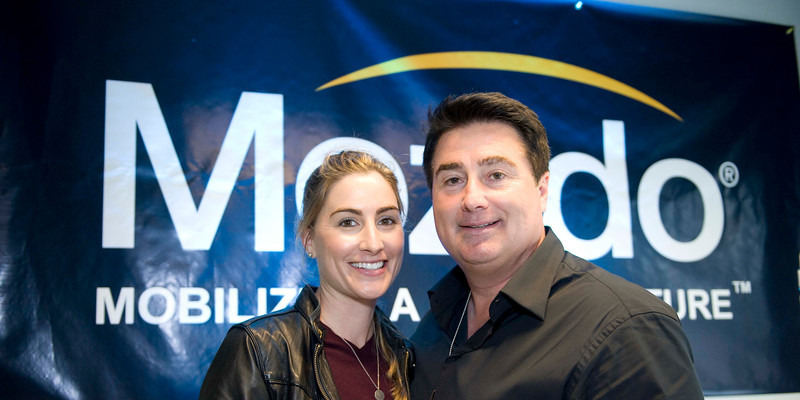 Erika RichMichael Liberty, right, founded Mozido. Now he’s being charged with fraud, according to the SEC. Mozido founder Michael Liberty has been charged with allegedly scheming to defraud investors and misappropriating funds, according to the Securities and Exchange Commission. Liberty, along with his wife and several associates, allegedly raised $US55 million from investors using fictitious financial information and shell companies. Of that, the crew spent $US48 million on themselves, funding a luxurious lifestyle that included personal jets, a movie production, and a dairy cow farm, according to the SEC. Startups that make mobile financial technology are all the rage with investors these days. Unfortunately for investors who put their faith in Michael Liberty, the founder of fintech startup Mozido, their cash was instead allegedly used to fund a dairy farm, expensive cars and other accoutrements of Liberty’s luxurious lifestyle. Liberty, along with his wife and several associates, were charged Monday on allegations of scheming to defraud investors and misappropriate funds, according to the Security and Exchange Commission. The group “allegedly stole most of the more than $US48 million raised to fund a lavish lifestyle that included private jet flights, multi-million dollar residences, expensive cars, and movie production ventures,” the SEC wrote in its complaint. The alleged scheme was centered around MDO, a mobile financial tech company founded by Liberty which eventually got transformed into what is now known as Mozido. Mozido, which sells mobile ecommerce tools, was last valued at $US2.4 billion in 2014, according to PitchBook. But before MDO became Mozido, Liberty told investors he had a growing company valued close to “$US85 million – still very much a bargain” and by November, he told others that it was “arguably worth a solid $US1 bill[ion],” according to the complaint. At the time, however, Liberty allegedly knew that the company’s board of directors valued the company at just $US16 million. And when investors shelled out $US18.2 million over a two year period, Liberty and his associates pocketed 90% of it, according to the complaint. Though the company itself is not implicated by the SEC, Mozido’s growing value was fuel to the fire. Liberty, his wife Brittany, his attorney George Marcus, his cousin Richard, and his cousin’s friend Paul Hess allegedly exploited Mozido’s success to sell investors shares in shell companies which the investors believed had transferable interest in the booming startup. “They tricked investors into believing that they were funding fast-growing startup companies. They were not,” according to the SEC complaint. By 2017, Liberty and his associates had raised $US55 million from investors, and spent $US48 million of it on personal expenses, including purchasing a dairy cow farm, according to the SEC. Representatives for Liberty and Mozido did not respond to requests for comment.